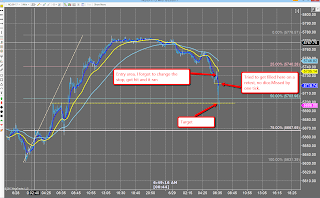 The Trading Quest: Bye Bye Bye CL???? congrats on the move to NQ, you player you hehe! in case things get busy enjoy the holiday! There are some nuances I am still working out but so far so good. There is some truth in what you say, conversely I have long been accused of too much System 1 Thinking and not enough System 2 Thinking to which I sometimes but not always plead guilty. I have stubbornly and reflexively held onto CL as my main instrument for a wide variety of reasons and only now applying some system 2 thinking to my ongoing frustrations with CL and its annoying habits. This System 2 thinking has led me to consider only recently replacing CL as my main instrument and therefore, my negative recency bias is the fruit of many months of frustration. 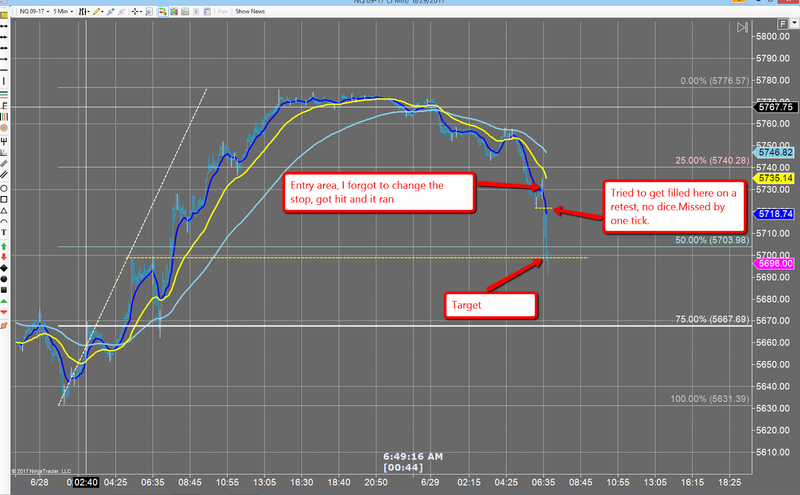 I have no intention of completely abandoning CL entirely, only reconsidering when and how to trade it. Mostly inventory days I think and generally on a enter and hold basis as those days can (but not always) lead to decent trends lasting most of the day. NQ feels like the CL of old, at least in recent days that is. In looking back at many months of data, I see where the most recent week and a half are around triple the normal daily range. So removing the recent bias towards larger moves, that leaves a ADR of around 150-200 ticks which is about what CL's used to be whereas now it is less than 100 ticks for the entire daily range and usually most of that is put in during the overnight session. I have considered trading the overnight but I am not at my best during those hours and I feel it would be much worse in the long run. I think going forward, I will no longer be married to a single instrument. Instead, I will be on the lookout for trading opportunities across the entire futures spectrum for day trading and forex for longer term position trading. today (july 5th) was why you keeping CL on your radar, to the cunning fox the meal is always handed on a platter. I hope stupid CL longs got their heads handed to them.